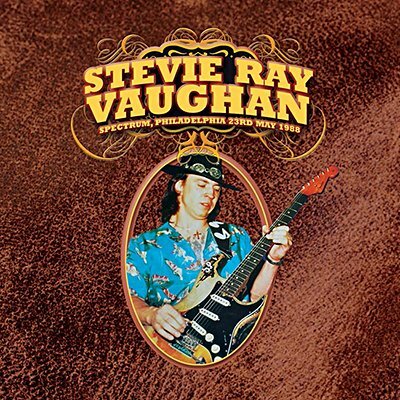 Stevie Ray Vaughan's guest slot for Robert Plant on the Non-Stop-Go tour was not at all representative of his worth in terms of bill position or a true reflection of his talent, but was ultimately prestigious enough considering the continuing legacy of Led Zeppelin and their iconic front man. Vaughan and his band Double Trouble were already enjoying the formation of their own legacy, which would grow in stature on the strength of the Live Alive album from 1986, and Vaughan's past collaborations with David Bowie and Jackson Browne. The set-list performed here is in places reminiscent of the songs chosen for the 1986 album, but the relaxed mood in this 1988 performance captures the early sobriety of his formative shows and that tender ferocity, allowing for a more honest picture of the legendary guitarist. Echoes proudly presents the entire broadcast of Stevie Ray Vaughan and Double Trouble's appearance at The Spectrum, Philadelphia on 23rd May 1988. Originally broadcast by Washington DC FM for their 'Superstar Concert series', this rare recorded performance reveals a seminal artist at work. Professionally re-mastered FM broadcast with background liners and rare archival photos.